Being involved with youth players can be a tough job at times. 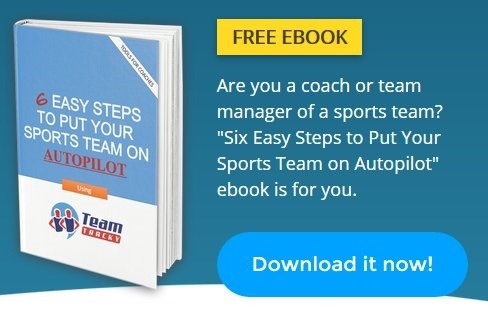 Coaches and parents frequently seek player development tips. While there is no single strategy that will work for every child, attitude is always the foundation of player development. 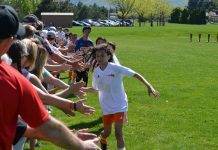 Encouraging a positive atmosphere is the most important thing that any coach or youth player parent can do. The top two aspects of this are handling frustrations and finding ways to encourage the youth players. Working with children in any setting can be difficult and frustrating at times. This is no different in the case of youth players. There may be times when they are extra hyper, do not want to do the drills at practice, are making mistakes during the game that you may not understand, and more. It is very important to remember that these kids are just starting out their sport careers. Even if they are a few years into it, say U-12 for example, these same situations will most likely still occur. As coaches and parents, you need to be prepared for these. The first tip for handling frustrations is simply just reminding yourself that these are children. You can not expect the same habits from them as you can with older players and adults. You also can not take out your frustrations on them the same way you do with older players and adults. When frustrations come up, it is a good habit to take a step back and think about how to handle the situation before speaking or acting. Think about the best way to communicate your message with someone who is young and more than likely just as frustrated as you are. Another player development tip to keep in mind is that when the youth players are not wanting to participate in the drills at practice, have them do something else. This does not mean that you can’t have them work on the skill. It just means that you will be using a different method to do so. For example, if you are attempting to get the kids to work on shooting, but they are bored and not wanting to participate in taking turns shooting, have them play the game “World Cup” instead. This way, they will still be complying with a structured activity, will be much more enthused about it, and will still be practicing the skill that you want them to practice. 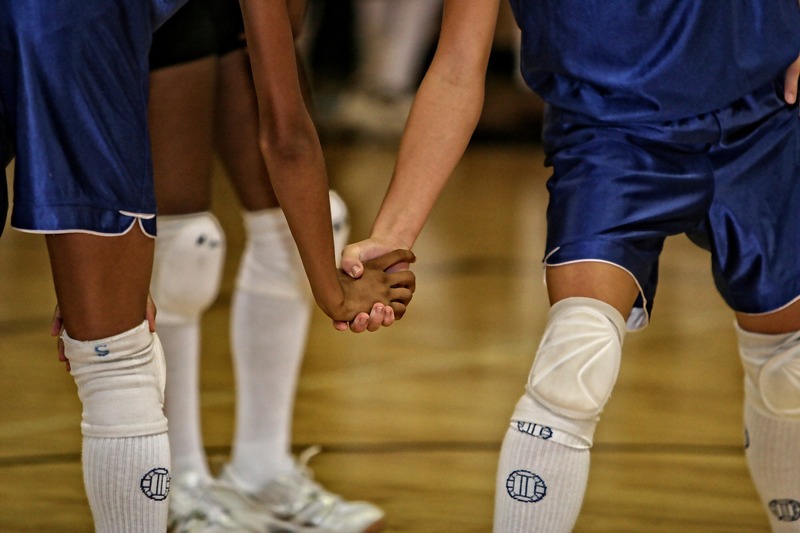 Encouragement can come from parents, coaches, and other players. Reinforcing this idea throughout all of these roles is important. First of all, parents should keep in mind that while they should feel confident in helping with their child’s skills and knowledge of the game, this is not necessarily their role. Parents should mainly be the support system for their child. If they make a mistake, be sure to tell them they will do better the next time. Then, give them advice on correcting the mistake. Coaches should also concentrate on encouragement over criticism. One golden rule to keep in mind for anyone involved with youth players is to never criticise without encouragement. That is, never tell a child what they did wrong without reassuring them that mistakes happen and giving them gentle advice on how to fix their mistake for the next game or practice. 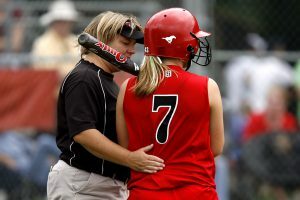 Coaches are also essential in promoting encouragement among the players. Apart from the usual drills that are run at practice, coaches should keep in mind some team bonding type activities. For example, on a weekend that the team does not have a game, the team could have a picnic in a local park to get to know each other and build rapport. During practice, the team could even do an exercise where everyone compliments each other on their strengths. Of course, aside from attitude and positivity, sport skills need to be focused on as well. First, communication is an important skill for anyone to develop. Again, parents and coaches need to keep in mind positive and encouraging ways to communicate with players and each other. Coaches also need to teach the players how to communicate on and off the field. This includes both communication to build positive relationships and communication on the field to help the team. For instance, coaches should explain various terms and phrases to players that they can use during the game, such as “man on”, “down line”, “through”, “split”, “cross”, etc. Second, individual skills are an important focus area for children who are just starting. These skills include passing, shooting, dribbling, etc. 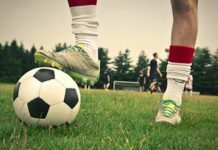 These skills also lead into more team-oriented skills, such as set pieces, making runs, crossing the ball, specific plays, etc. It would be a good idea to have kids play in various positions and formations to further practice these skills. Overall, the most important player development tip is maintaining a positive atmosphere among the team. Children will be more receptive to learning new skills that way. However, specific skills, such as communication, individual, and team-oriented skills are also very important for player development.